It’s time to set the record straight on these three THC Concentrates. We know. They all look the same, and all come with a vape pen. But trust us, there’s a HUGE difference between the three which causes them to all have different effects, tastes and smell. 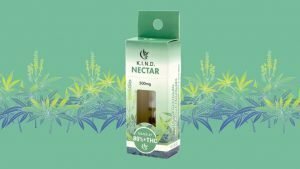 Nectar is made using a steamed distilled, nug-run process using the entire flower. This product is testing at over 80% THC, making it one of the more potent THC Concentrate products in the Arizona market. It’s a great way to numb that chronic pain or decrease your nausea symptoms, especially if you been using cannabis as medicine for an extended period of time. If you prefer the taste of flower, whether you’re are toking on a joint or hitting the bong, this is the vape product for you. Since the Nectar is made using the entire flower, it gives a more authentic taste. Uh, AMAZING. You get that flower smell without that linger. Our Live Resin is a concentrated form of cannabis oil created from flash, frozen flower, meaning we freeze the flower before it’s dried and cured. 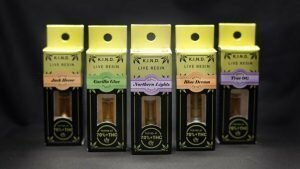 Our Northern Lights and Jack Herer Live Resin cartridges have won awards. We highly suggest Northern Lights (indica) if you’re looking seeking pain relief for muscle aches, spasms or if you fight insomnia. If you’re trying to stay awake, you may want to pick Jack Herer (sativa) to avoid that groggy feeling. It tastes like weed, of course! In all seriousness, this product is well-known for its full-bodied terpenes profile (the stuff in cannabis that gives each plant it’s unique taste and smell). Similar to Nectar. You get a little smell without the linger. As one of our Powered by K.I.N.D. Concentrates line, Oil Stix is made through carbon dioxide extraction using low heat and pressure. As a cannabis oil concentrate, the product packs a punch in just one-hit. The effects are long-lasting and give you the ability to micro-dose if you need to medicate throughout the day. Due to the creation process, Oil Stix holds a consistently, rich cannabis flavor. Similar to Nectar. Very light smell that dissipates quickly. If you’re still unsure which one to try next, just ask one of your local budtenders! Or you could just try them all! !